And just like its predecessor, Come Around Sundown is pre-packaged with all the big reverb and shiny polish of an expensive arena stage show. But even if they’re tired, these four family rockers still know how to churn out catchy tunes with Caleb’s scratchy vocals and the band’s angsty melodies still present in spades. It’s an album that feels more about hanging on to the sudden influx of fans than about moving the message (whatever that is) forward. It represents little more than a giant turd amidst a sea of mediocrity, several million of which will shortly be appearing in homes near you. Two years after sudden mainstream attention, the Tennessee southern rock band pumped the breaks and grasped their southern roots while simultaneously embracing modern auras. 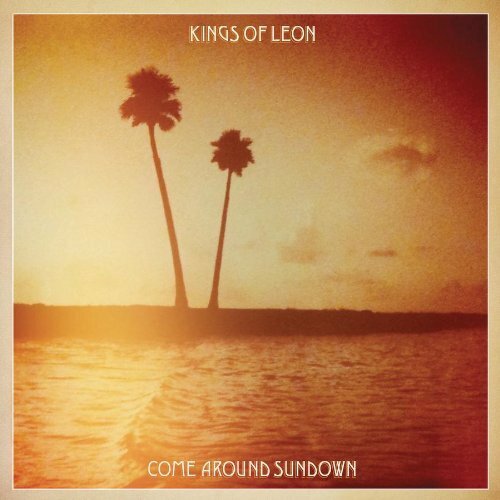 Altogether, the sixth album by KOL comes off as soothing. Purchasing Come Around Sundown from Amazon helps support Album of the Year. Or consider a donation?